SR Auto Group defines the term "sinister"
Draped in a cloak of black, this Mercedes CLS perfectly defines the term "sinister". Starting with the body of the CLS and then fit it with a full Lorinser aerodynamics package and a pair of PUR Wheels and you are almost there. SR Auto Group recently completed work on turning a standard Mercedes-Benz CLS63 AMG into a truly sinister looking beast thanks to the fitment of a selection of Lorinser components and Pur wheels. The black Mercedes-Benz CLS63 AMG has been fitted with the full Lorinser aerodynamics package which consists of a new Lorinser front bumper, front fenders, side skirts, rear lip, roof spoiler and trunk spoiler. On the performance side of things, this Mercedes-Benz CLS63 AMG also features a Lorinser exhaust system, which is the only performance enhancement done. 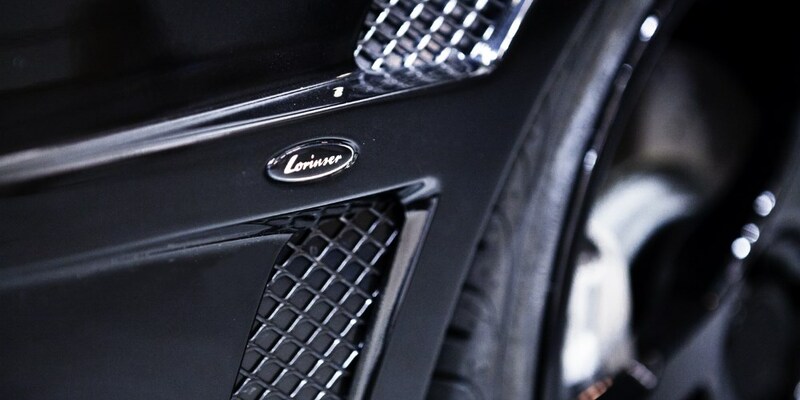 From a visual standpoint, the CLS63 AMG also features a unique set of forged three piece PUR 5ive Depth wheels featuring an interesting three spoke design. 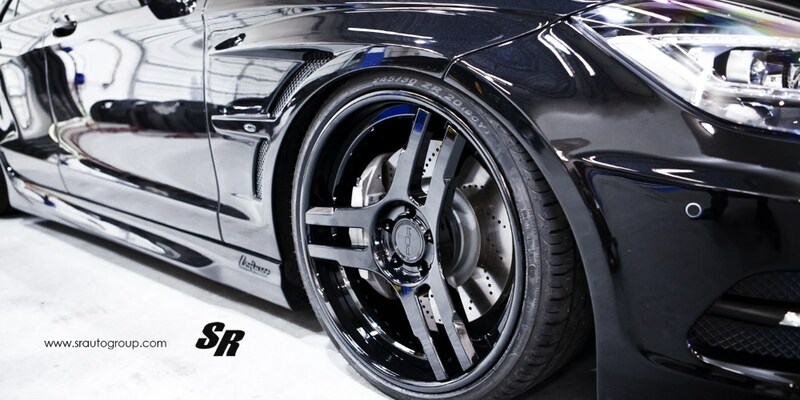 These wheels feature a glossy black face and lip and measures 20 x 8.5 at the front and 20 x 11 at the rear and it has also been topped off with a lowering system from Basics.